Food insecurity can be a tough topic to address. Wyoming’s communities provide food pantries and soup kitchens, host food drives and gather donations to increase food security across the state. However, asking for help can be intimidating for some people with limited resources. For those reluctant to ask for help, the public nature and locations of food pantries, soup kitchens, and emergency food sites can be a barrier to accessing food. Providing anonymous access to food can help reach those reluctant to visit these sites. In Campbell County, the Cent$ible Nutrition Program (CNP), Gillette Saturday Farmer’s Market, and the Council for Community Services (Gillette) came together to make anonymous food sites possible by starting the Little Free Pantries program. Little Free Pantries are being constructed across the country to help address food insecurity while taking away some of the stigma associated with using food pantries to meet needs. 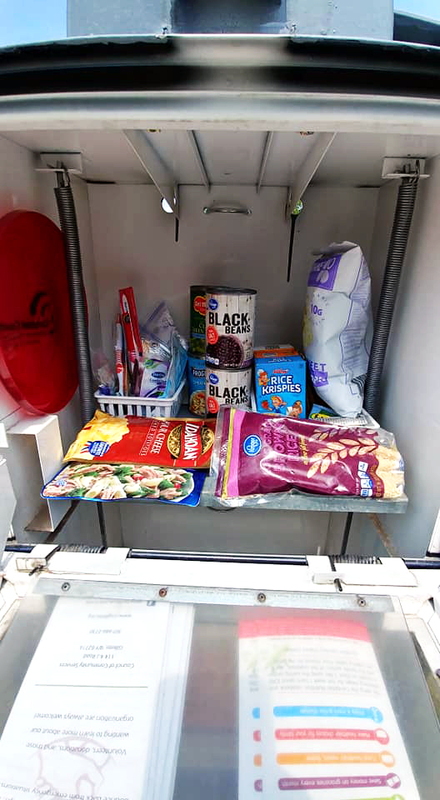 These little food pantries are generally located in neighborhoods or public places and can provide a safety net when it comes to accessing food when it is needed. The Gillette community came together to make this project possible, through the gathering of materials to the preparation of the pantries to the donation of supplies for the pantries. The Gillette News Record donated five used newspaper boxes to be refurbished into pantries. New Vision Auto Detailing in Gillette offered to paint each pantry free of charge and Students 4 Change volunteered to decorate the pantries to make them more welcoming. The first Little Free Pantries were placed this summer after a food drive at the Gillette Saturday Farmer’s Market in July. 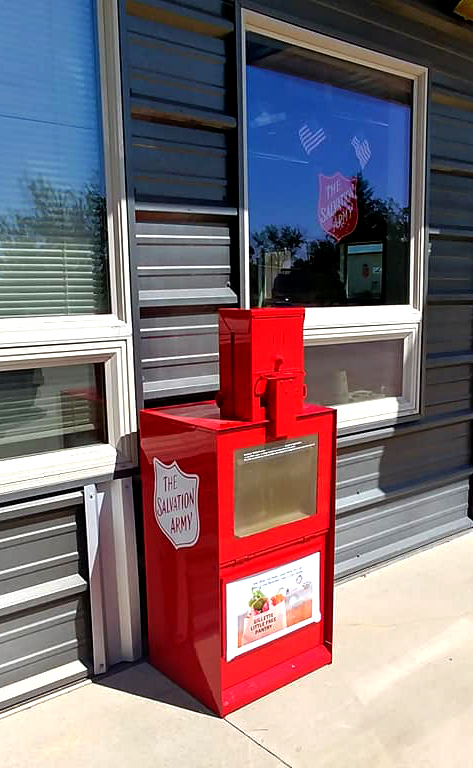 To date, the pantries are located outside the Council of Community Services Food Pantry, at the Salvation Army, and in Lakeview and Sunflower Parks. The fifth pantry will be placed soon, likely in a city park or other public space. 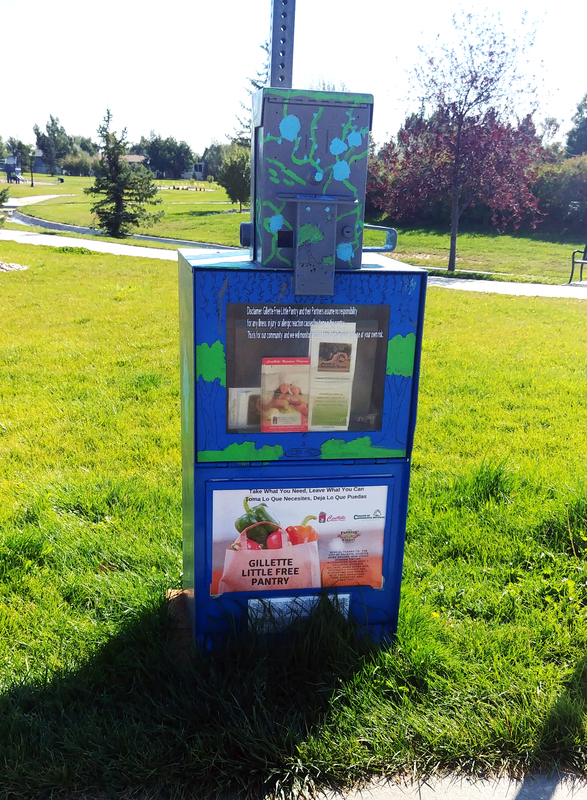 Placing pantries in locations such as parks makes them more accessible but also more discreet. The Gillette Saturday Farmer’s Market will host another food drive in October to help stock the pantries. The Council for Community Services’ Food Pantry will assist with food items that may be needed as well. CNP, the Gillette Saturday Farmer's Market managers, and participant volunteers check the pantries daily, at different times, to ensure their proper use and up-keep. CNP, the Council of Community Services, and the Gillette Area Salvation Army are all drop sites for donations. In addition to food, school supplies, and small toiletries are welcome donations. You can read more about this project from County 17 News, the Christian Science Monitor, and the Gillette News Record. Visit the Gillette Little Free Pantries Facebook page to stay up to date on the project. CNP is funded by the Supplemental Nutrition Assistance Program (SNAP) and the Expanded Food and Nutrition Education Program (EFNEP). Projects like the Little Free Pantries are part of CNP’s SNAP-Ed focused mission to provide opportunities for positive change in nutrition and physical activity for the limited resource audience through education, multi-level interventions, and community engagement.